Leaves don’t have to be green. There are lots of plants out there with leaves that are red, purple, wine, maroon or burgundy. A little foliar contrast can be good in the landscape, especially if you want to set off a certain area or just break up the monotony of green. Some plants retain their colorful foliage throughout the growing season while others may become dull or greener during the summer months. Even with fun spring and summer colored foliage, many plants will often still have a beautiful fall color display—and it can be a variety of colors, including yellow, depending on the plant. 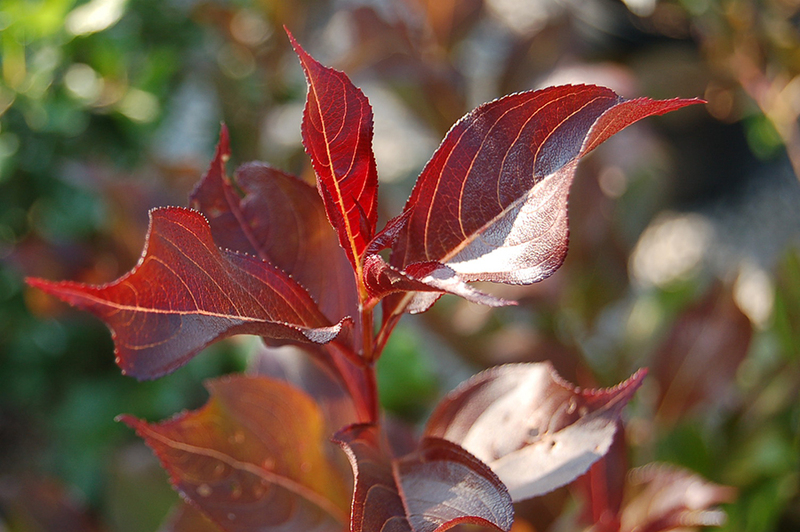 A few colorful shrubs to consider: Sweetshrub Burgundy Spice, which can grow 8 feet tall and 6 feet wide, has dark purple foliage and red flowers. Smokebush Velveteeny grows 3 to 4 feet tall and wide and has maroon foliage and pink flowers. Physocarpus opulifolius Little Devil Ninebark also grows 3 to 4 feet tall with burgundy foliage and creamy white flowers. Coppertina Ninebark is larger and grows 6 to 8 feet tall with bronze foliage and pinkish white flowers. Weigela Wine and Roses grows 5 to 6 feet wide and 4 to 5 feet tall with purple foliage and pink showy flowers. Colorful foliage is not limited to shrubs. You can also find trees and perennial flowers with lots of foliage colors and variations. Redbud Ruby Falls is a weeping redbud with beautiful purple foliage and there are lots of shade-loving heuchera perennials with purple or red foliage. Try Heuchera Obsidian with black shiny foliage or Heuchera Fire Chief with its bright, wine-colored leaves. Spicing up your landscape with a color other than green is as easy as heading to your local garden center. Always keep in mind the mature size of your new colorful additions and plant accordingly for lowest maintenance.